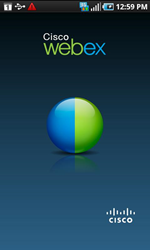 Do you or your company use WebEx for online meetings? While Cisco, the company behind WebEx, has offered native iOS and Blackberry apps for a while, Android users have been feeling left out. 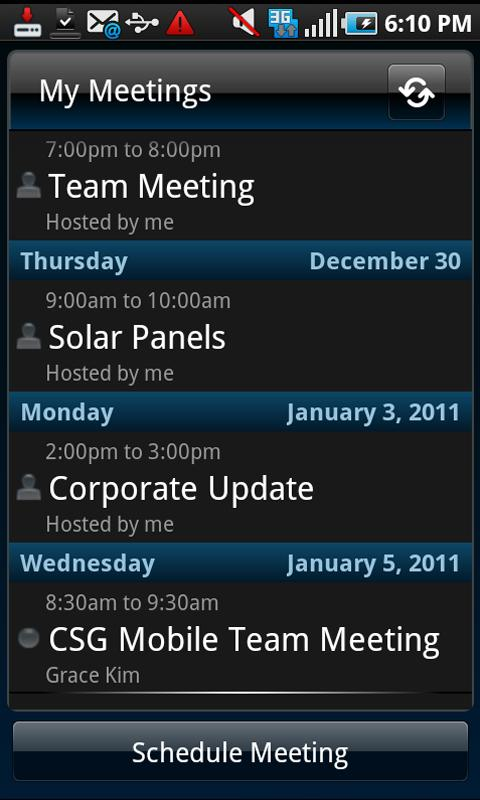 That is, until today, because Cisco just quietly dropped the WebEx Meetings app into the Market. 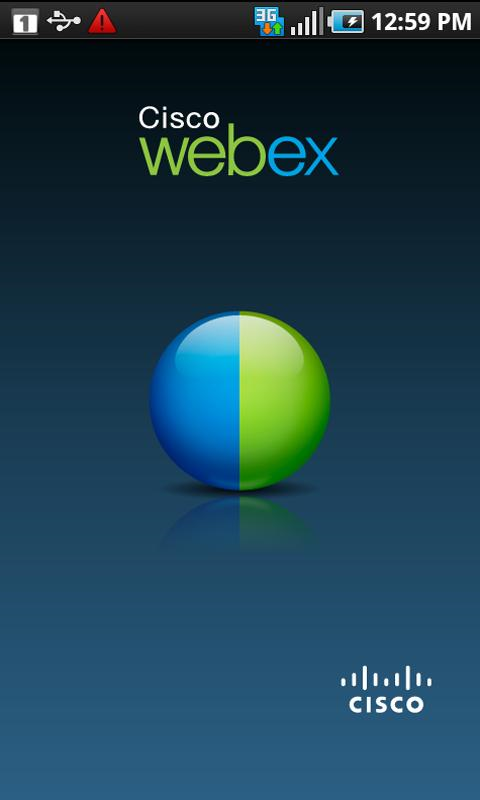 The app is free and allows you to join WebEx sessions in full-screen using free VoIP, a call-in number, or a callback to your phone. 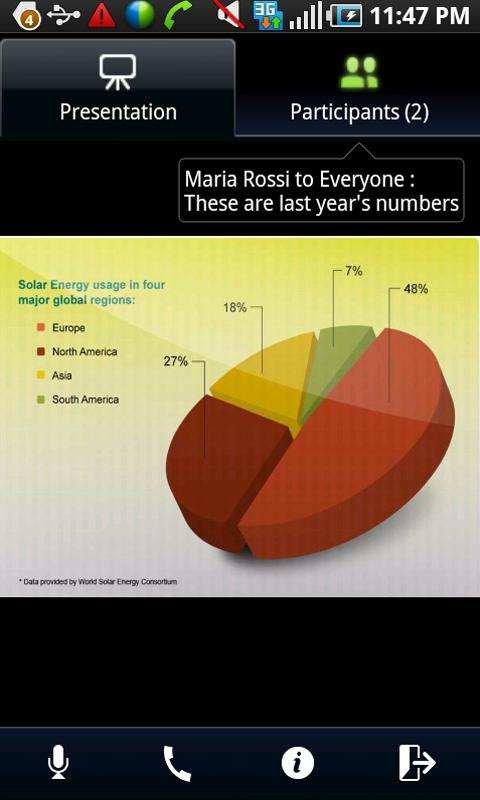 You can also access documents, apps and even participate in screen-sharing with live annotations. The app is multi-touch-enabled for quicker navigation, which I can say I definitely appreciate after trying to use some remote apps accessing large desktop screens without multi-touch support. 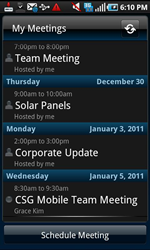 Next up are chat support, meeting scheduling, audio controls, and meeting admin, including kicking participants and managing the current presenter. 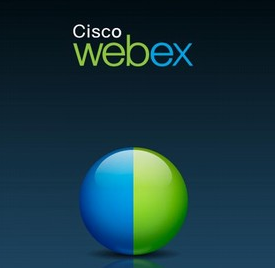 Overall, this looks like a very-very solid offering, barring any problems with reliability, but that's up to you, WebEx users to let us know about. 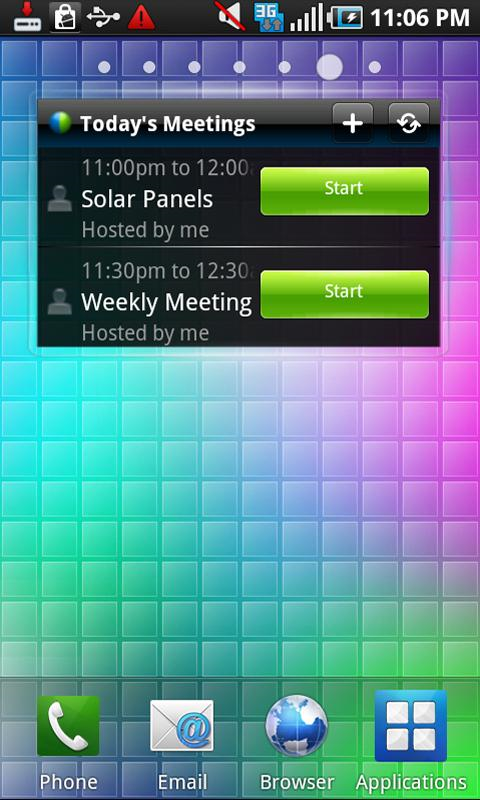 Note: The sole comment in the Market is implying that the app only works for Meeting Center Pro and not for Personal accounts. We haven't verified this statement, but it's probably something you want to be aware of.